ASRock is readying another lineup of motherboards aimed specifically at gamers. The Phantom Gaming mainboards will join ASRock’s Radeon graphics cards that carry the same brand. The first products in the series will feature 2.5G Ethernet. Right now, ASRock has five families of motherboards, including the Extreme, Taichi, Fatal1ty Gaming, OC Formula, and Pro. Based on a teaser that ASRock recently published over at its YouTube channel, the company is prepping “next generation” Phantom Gaming-branded mainboards. One of the key features of the Phantom Gaming motherboards will be “2.5G Ethernet with low latency.” At present it is unclear whether the platform is set to use a controller from Aquantia (presumably the AQtion AQC108 in this case) or a yet unannounced silicon from Rivet Networks. In any case, 2.5G Ethernet will be a welcome addition to a gamers-oriented mainboard. While ASRock does not disclose other specs of its upcoming Phantom Gaming motherboards, we can speculate that the initial family will include at least one platform based on Intel’s upcoming Z390 chipset. Eventually, the lineup will get broader as AMD and Intel introduce their next-gen chipsets. 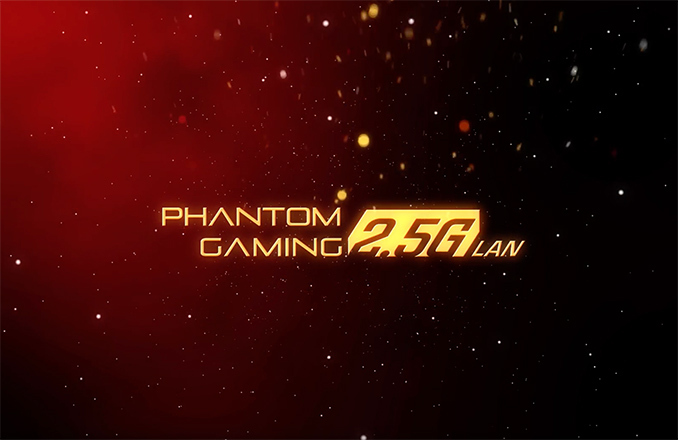 What remains unclear is whether the new Phantom Gaming lineup will complement the existing families of motherboards, or rather replace one of them going forward. Meanwhile, keeping in mind that ASRock does not publish teasers well in advance of actual product launches, it is likely that we will learn more about its Phantom Gaming motherboards shortly. There is next to no need for more than 1gig connection to the home. Your typical 'high speed' connection to a server is only going to be 20-60Mbps, and you can really only have so many active connections to the outside world at a time even with a home full of teenagers. Will be be compatible with the Phantom Gaming Network and Phantom Lapboard?